As I am no longer a pro movie critic, I had to go see The Hobbit: An Unexpected Journey after it came out like a common troll (get it? Get — ah, never mind). My local cinema had it at the standard frame rate, but there was a movie theater in Dayton showing it at 48 frames a second, which is director Peter Jackson’s preferred frame rate for folks to see the movie in, as he believes it makes for a more immersive cinematic experience. I was curious enough about whether this was true to go ahead and go out of my way to see it that way. I have notes about the movie both as a storytelling vehicle and as a test of new-fangled technology. The storytelling first. From my point of view the movie was perfectly agreeable, if meandering. The Hobbit is a slim volume to make three movies out of, so it’s not in the least surprising that this first third of trilogy spends a lot of time setting up events, tromping to and fro and getting itself into (and out of) set-piece action scenes — it’s padded, in other words, and quite a bit so. There’s a long set-up with an old Bilbo and a young Frodo, there’s extended scenes with elves, Radagast the Brown somehow becomes a major player in events, the scenes with goblins are like a D&D adventure crossed with a flume ride, and so on. If I were a Tolkien purist all of this might drive me up a wall a bit, but I’m not; truth to tell I prefer Jackson’s Middle Earth over Tolkien’s, whose Middle Earth was always a bit twee for me. Yes, yes, you can throw me into the fire later. Likewise, if you’re not a Middle Earth fan of any sort, I can imagine this all gets tiring; even someone like me, with a high tolerance for Peter Jackson wandering off on his own, was wondering at points whether the man was going to get on with it already. What saves it from being too tiresome is the fact that Peter Jackson is a little looser here than he was in the Lord of the Rings movies — a little lighter and a little goofier, and it makes the time and the digressions go by pleasantly. I would suggest the The Hobbit is probably closer in sensibility to Jackson’s earlier works (this being a relative term; The Hobbit is still safely within PG-13 territory); whether it’s because of the lighter nature of the source material or Jackson thinking screw it, I already have three Oscars, what do I have to prove or possibly both is a question I won’t go into now. But I found the similarities to that earlier, weirder work enjoyable. The Hobbit is not as good as any of the three Lord of the Rings movies, but that’s a high bar to reach in any event and it’s probably unfair to expect it to have the same sort of impact — Tolkien’s The Hobbit is an enjoyable diversion while his Lord of the Rings, written during WWII, is stuffed with allegory and good vs. evil stuff (the movie versions have their own good vs. evil resonances coming in the wake of 9/11 and the US at least girding itself for war). The film version of The Hobbit does try to shoehorn in weightier good vs. evil stuff, as well as having Thorin Oakenshield step up to be a shorter, more hirsute version of Aragorn in The Lord of the Rings, but it’s only middling effective, and all the weighty stuff is where the movie bogs down. A perhaps more fair comparison would be to put The Hobbit up to the first installment over another hotly anticipated first movie in a prequel trilogy, i.e., The Phantom Menace. Compared to that movie, The Hobbit is an absolute joy; it makes sense, it doesn’t crap all over the films which preceded it, storywise, and it doesn’t merely rely on special effects to drag the audience through. Jackson doesn’t reach the heights he hit with Fellowship of the Ring or the other movies in Lord of the Rings, but he doesn’t embarrass himself or have to excuse his choices. And when I left the theater, I was genuinely looking forward to the next installment instead of desperately hoping it would redeem the first movie, which is what I felt with Phantom. Also: Martin Freeman: Born to play Bilbo. And there you have it. So as a storytelling experience, I’d give The Hobbit: An Unexpected Journey a “B.” Like its literary predecessor, it’s a minor work, but an enjoyable one, and as an entertainment it’s solid if not life-changing. There’s nothing wrong with that. On the technology side I thought the 48 frames worked as advertised: The images were clearer and sharper, the movement and action more fluid and engaging, and the 3D far smoother and rather less headache inducing. I understand a number of film critics (and some audiences) don’t like the higher frame rate because it looks less “film-like,” and the adjectives they use to describe the 48fps experience reflect that — I’ve seen it compared to television, video games, thrill rides and so forth. I agree that at 48 frames per second, The Hobbit doesn’t look like film… but then, inasmuch as The Hobbit wasn’t shot, processed, edited or (in most places now) presented on actual film, why should it look like film? If the only reason it should look like film is because that just what we’re used to, then eh. If this is the argument you’re going to make, you’ll equally need to defend the use of sound, of color and of any other technological advancement to the cinematic experience. You can’t even argue that 24 frames per second is the true film experience, as films prior to the sound era were shot at other frame rates (which is why old silent films look “sped up” to us; they were shot at lower frame rates). I think this is an argument of received aesthetics rather than a discussion of whether the technology genuinely serves the story and the movie in a general sense. To that discussion, I think the 48fps tech serves The Hobbit well. Because this is the first major movie production to use a higher frame rate, there are some places where it’s not perfect, notably in the beginning of the movie where a) the audience is acclimating to the look and b) there are a lot of talky, ploddy scenes. I suspect there will be fewer of these in the second Hobbit movie and almost none at all in the third. And when the Hobbit movies wind down, the next set of Avatar movies will pop into the theaters — and James Cameron has already noted he plans to shoot those movies as 60 frames a second. I don’t expect James Cameron to present technology that is anything less than as perfect as he can make it, because he’s a tweaky perfectionist that way. Do I think every movie in the future needs or will benefit from high frame rates? No, any more than I think every movie now would benefit from 3D. I do think high frame rate movies are probably the wave of the future for epic scale or action-oriented movies, however, as the technology both to shoot them and to screen them is already here (or is just a software fix away on digital projectors). People who enjoy the “film aesthetic” will increasingly be like the people yelling at the tide, or the clouds. It’s not to say they might not have an argument, just that it won’t matter. Especially when The Hobbit claws in something in the area of $300 million domestically by the end of its run, as it is likely to do. If there’s any aesthetic argument Hollywood understands, it’s the aesthetic of a box office success. By the way, the hardest thing about writing this review? Not using the word “film” to refer to The Hobbit. It’s a movie, yes. A film? Nope. 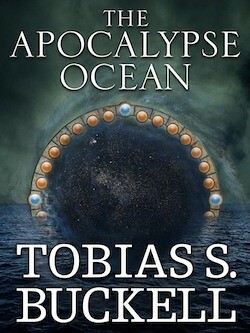 Toby Buckell did a Kickstarter for his novel The Apocalypse Ocean, and being Toby Buckell, now that he’s done with it, he’s written up an extensive (i.e., 5,000 word) post-mortem on the project, which includes context for the Kickstarter, the choices he made before, during and after the Kickstarter, and the lessons he’s learned from the project (and whether he’d do it again). Toby’s write-up is very interesting to me, and I think will be for a whole bunch of writers who are considering doing their own Kickstarter projects. As with anything, we hear a lot about the exceptional Kickstarter projects — the ones like Amanda Palmer’s, which generated over a million dollars in funding — but not so much about the more modest-yet-successful efforts. Toby aimed for $10k with his Kickstarter and ended up with $11K and change when he was done… and yet still had to deal with all the back end issues of completion, fulfillment and so on that every successful project, modest or extreme, has to handle. None of the rest of us are Toby, with his own specific set of conditions and challenges. That said, Toby is a good example of a mid-career novelist looking for new ways to get his words to people who want to read them, so the data and observations he’s got here is going to be useful for a bunch of folks. Again, if you’re a writer and thinking of using Kickstarter or some other manner of indie funding for your work, you’re going to want to read his write-up. This is good stuff.